In case you haven’t heard, it’s National University Press Week. Although they rarely become national bestsellers, university press titles play an important role in the research behind many literary and nonfiction successes. We selected seven: The Big Burn; Daring Young Men; Fast Food Nation; Flu; Nothing Like It In the World; Snow Falling on Cedars; and The Worst Hard Time. The books on this short list contain citations from 33 different academic publishers, including WSU Press. As a university with a press, Washington State University is in good company. According to the Association of American University Presses (AAUP), more than 70% of institutions with the highest Carnegie Classification and 76% of Association of American Universities member institutions host or support an AAUP member press. These publishers have a substantial impact on the base of knowledge in a wide variety of subjects, releasing more than 12,000 titles annually with about 220,000 currently in print. We are proud that we can say our influence is significant, too. Just how far have our books traveled? 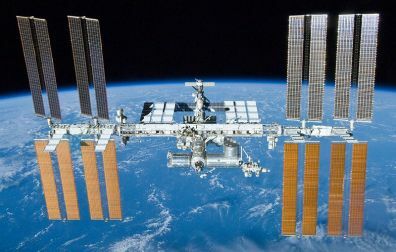 About 205 miles into space, when Canadian astronaut Robert Thirsk took our title about his hero, explorer David Thompson, to the International Space Station. His favorite reading spot was floating next to a window looking down at Earth. WSU Press first began publishing books in 1928. Over the decades we honed our focus, and today, we make a great amount of research related to the Pacific Northwest readily available. We are excited to celebrate our work—books and journals that preserve the history, culture, and diversity of our region, and extend WSU’s reach to the world and beyond.